How do we approach the taking of the sacrament each week? President David O. McKay said, "Unfortunately, the form or worship is frequently an outward compliance without the soul acknowledgement of its deep spiritual significance." In this thought-provoking talk, David Christensen tells us how we can find the deep spiritual significance of the sacrament and describes the blessings we receive when we thoughtfully and worthily partake of it. Among the promised blessings are retaining a remission of our sins and receiving the influence of the Spirit in our lives on a regular basis. Ultimately, Brother Christensen promises, the sacrament will change the way we think and feel about the Savior — It will change our lives. David A. Christensen’s love and enthusiasm for being a missionary was sparked in a missionary preparation class at Ricks College in the late 60s. His love and testimony for the Book of Mormon was ignited in a religion class the following semester. These two classes combined as a new beginning for what would one day become not only a passion but also the centerpiece of his professional contribution in the Church Education System and at Brigham Young University–Idaho. David has taught missionary preparation and Book of Mormon classes for over thirty years. His testimony and enthusiasm for the restored gospel was shared with missionaries and members in the Chile Santiago North Mission where he served as president, and again in Central America when he served as president of the Guatemala MTC. He counts his eight children and growing number of grandchildren as his most important converts, and his best friend and wife, Deena Bond Christensen, his eternal companion. This was a wonderful talk that helped me understand how to approach each Sunday and the importance of this sacred ordinance of the sacrament and the atonement. I have come to have a deep spiritual experience every time I apply what he has shared. This talk changed my whole perspective . I loved the talk which was lent to me by a friend. It was such a life changing experience for me that after listening to it at least four times, I knew it needed to go back to its' rightful owner. Now it's been years and I need to refresh my memories and perhaps share it with my sister. THANK YOU DAVID CHRISTENSEN. This is the best Sacrament Talk that I have ever heard. He quotes the scriptures and brothern in pointing out it greatness. WOW. Every member of The Church needs to listen to this. David is a very special and inspirational speaker with wonderful knowlege of the gospel. Wonderful CD ! 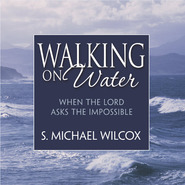 He speaks with the Lord's spirit and you can tell he loves others as the Savior does.One can learn so much more about this sacred ordinance from this CD. He has a powerful and love-filled testimony of the Savior. You can feel this and know its true. I now understand and partake of this sacred ordinance each week with greater gratitude. 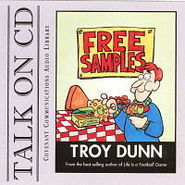 This CD is perfect for all those trying to repent, change and receive forgiveness. Which includes all of us. Each week !!! I recently heard Brother Christensen speak on this subject and was not impressed. He pretends to speak for the Brethren on issues surrounding the administration of the sacrament while having no authority to do so. David's talk is powerful insight.